Something different for this Fanart Friday, I’m gonna try to take some time this month to finish the Holtzbert Inktober I ALMOST completed last year. Here’s the first of the last 11, day 21: Fairy Tale AU. 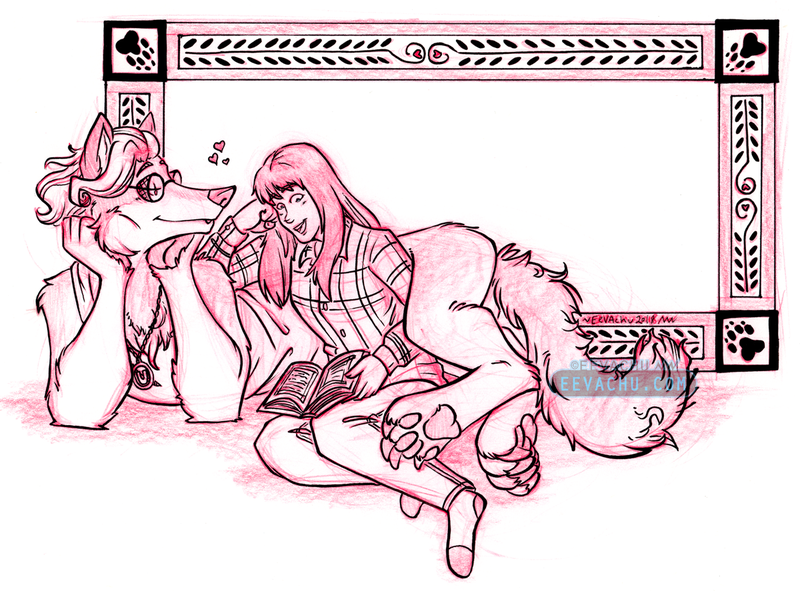 Y’all know I’m not gonna miss drawing Beauty and the Beast werewolf Holtzmann and gay Holtzbert reading time. 2017. Staples card stock; Ticonderoga erasable pencil; Kuretake Fudegokochi; Pentel Tradio Stylo 9G; Pentel Slicci 04 pen; Sakura Pigma Sensei 10; Sharpie pen fine; 8.5″ x 11″.